This past winter and I had a huge case of summer fever! Now, it’s almost over………but not yet! Nothing feels more like summer and the beach like seafood and ….sharks?!? I LOVE seafood especially with pasta. I wanted something different than grilled chicken or shrimp with Alfredo pasta. My neighbor gave us some shark to try. I’ll never forget my daughter running to me with it in her hands telling me it was shark from next door. I stood there for a minute a little confused….shark?!? I was hesitant to try shark at all at first, but if you prepare shark correctly it can be very delicious. It’s empowering eating something as fierce as a shark with a fork, when it can bite off half of your body with one bite. Shark steak can turn out tough so I decided to marinate them in buttermilk for 1 hour before I prepared them. This helped them stay tender and juicy. I then placed them on a bed of angel hair pasta with a simple Alfredo sauce. 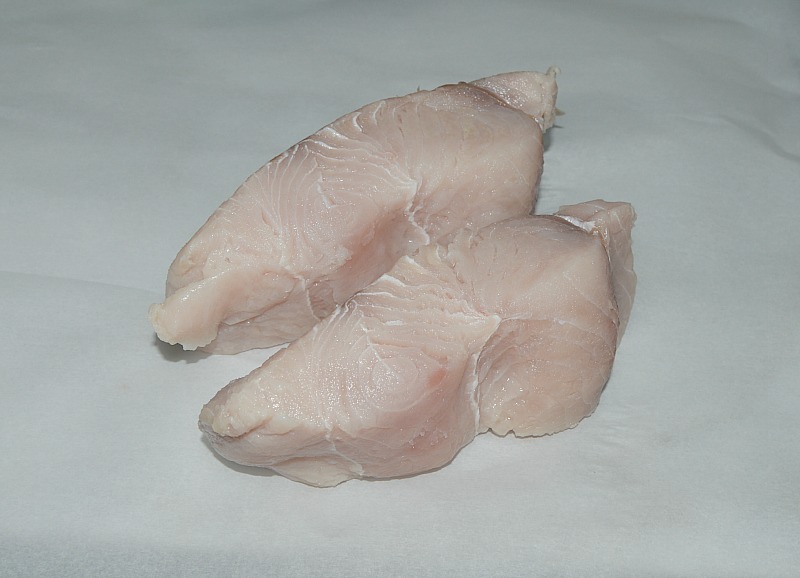 Raw shark steaks are the prettiest color pink! 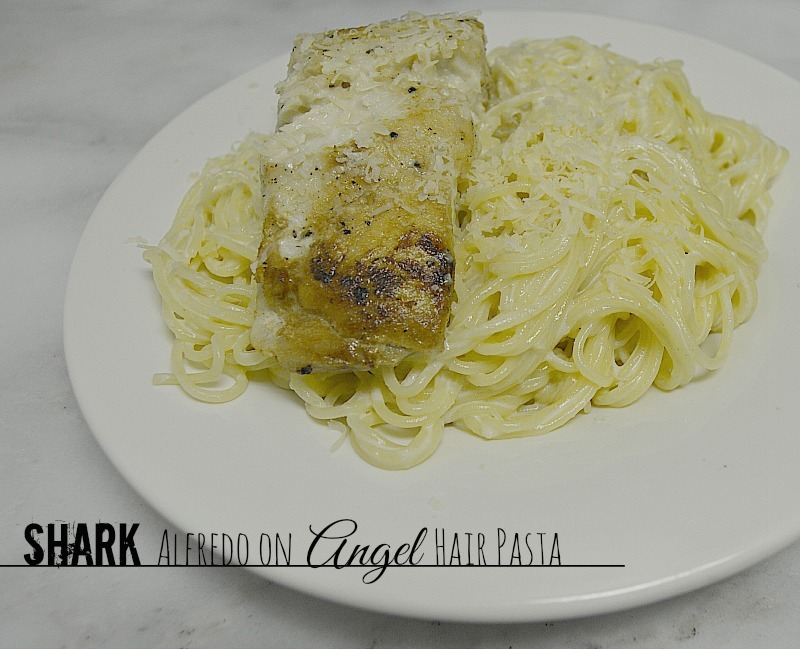 A simple Alfredo recipe topped with shark steaks. 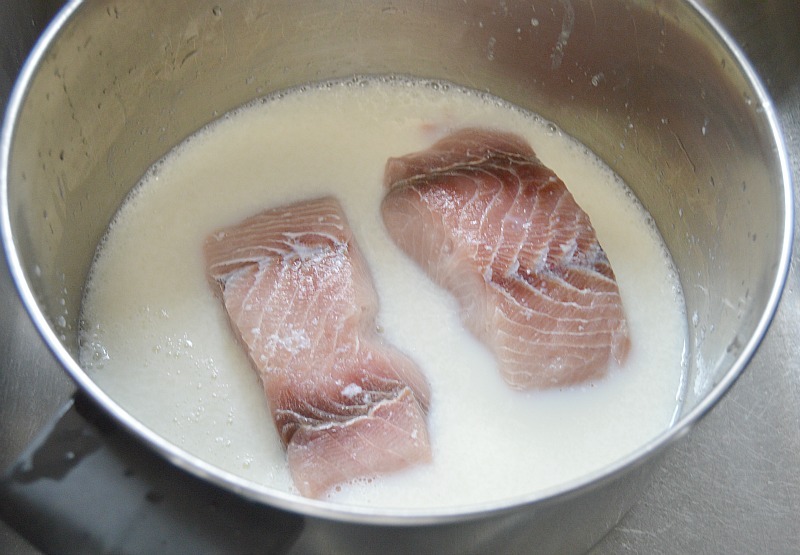 Marinate shark steaks in buttermilk for about 1 hour, remove form milk, pat dry then place in refrigerator until you are ready for it. In a large skillet, melt butter and garlic until butter is melted. Add milk and half a block of shredded Parmesan cheese whisking occasionally. Taste sauce and add salt, and more milk or cream as needed. Let sauce simmer on low heat while you bring salted water in a large pot to boil. Add pasta and cook per package instructions. When done, drain and set aside. In another skillet, heat olive oil on medium high heat. sprinkle salt and pepper on shark steaks and cook for a few minutes on both sides until they are cooked through. 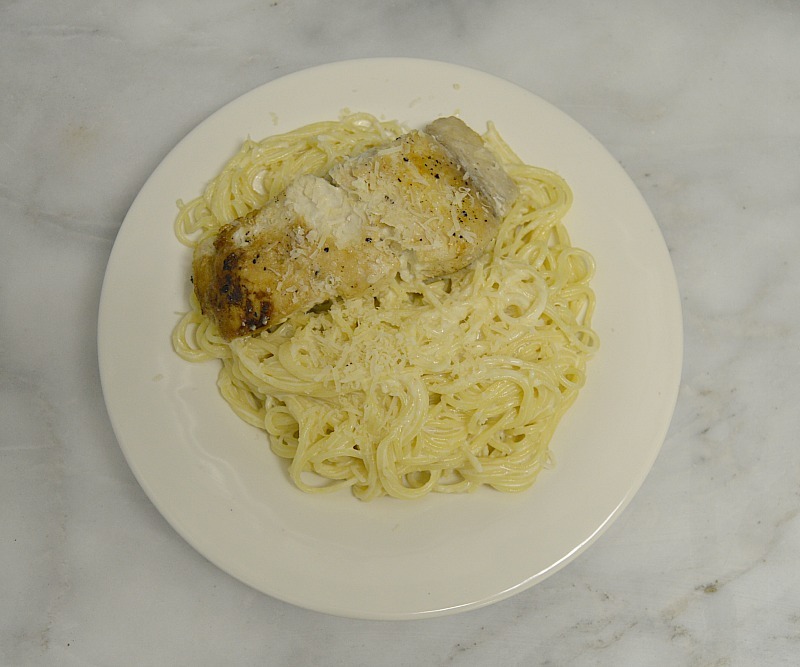 Mix sauce and pasta, place on plates with shark steaks and top with the remaining Parmesan cheese. You may need to add more milk or heavy cream to sauce as needed. heavy cream makes a thicker sauce, if you don’t want as much fat content use whole or reduced fat milk. I used a large pot to marinate the shark steaks.